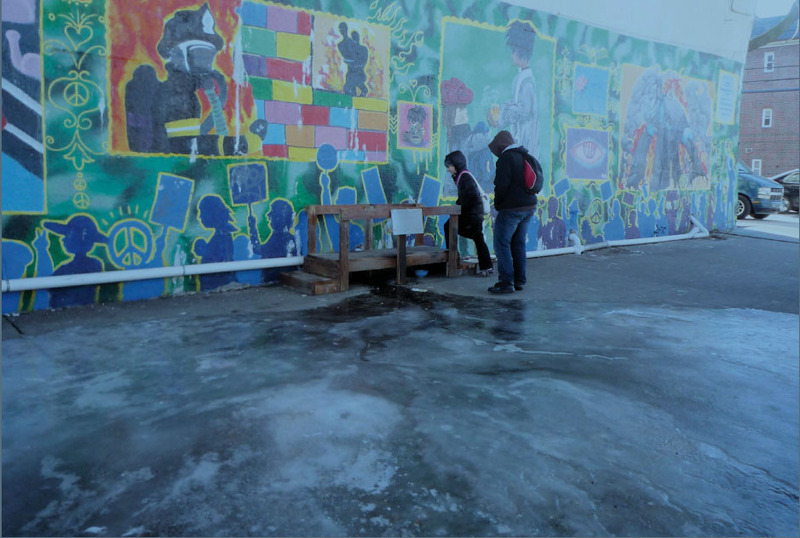 For more than twenty years, pedestrians in Astoria, Queens were faced with trudging through a cesspool of standing water on a heavily trafficked stretch of 33rd Street. Caused by leakage from a pipe on the Amtrak bridge overhead, the Astoria Scum River, as it became known, presented a situation that was unpleasant at best, and hazardous at worst. Urban interventionist Jason Eppink and street artist Posterchild responded by constructing a bridge from materials found on the street, including a work bench and screws from a trashed desk. This unauthorized but long-overdue pedestrian bridge was a tactical urbanist triumph: It got the attention of a local councilmember and spurred Amtrak to fix the problem. Within weeks, the bridge was no longer needed.